WASHINGTON (AP) — Bernie Sanders spent much of 2016 talking of revolution. In 2019, he's turned to a subject that's a bit more pragmatic: electability. As he revs up his second presidential campaign, the Vermont senator and his supporters are putting his case for winning the general election at the center of the argument. 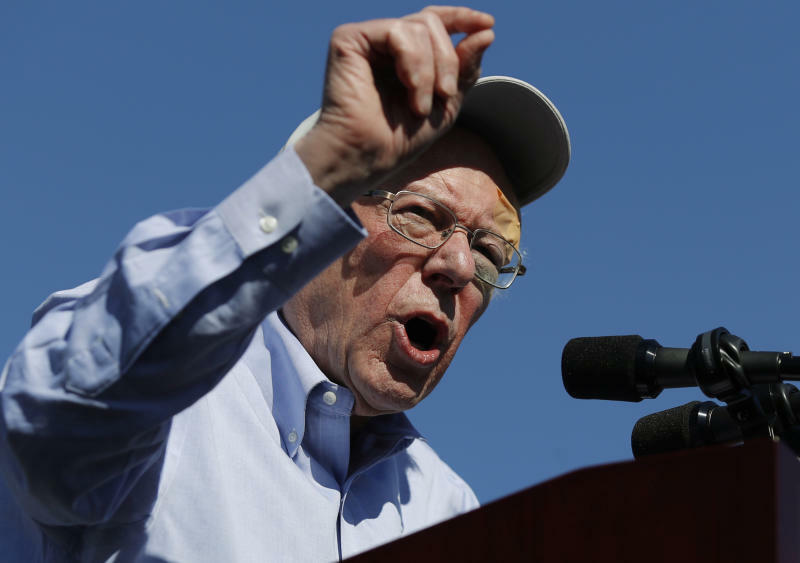 The emphasis is meant to aggressively confront the perception that Sanders , a self-described democratic socialist, is too liberal to win over the coalition needed to win the White House. That question dogged Sanders' campaign for the Democratic nomination four years ago. This time he is trying to shake it early. On the trail, Sanders is quick to note that some of his policy ideas have moved from the fringe to the mainstream of the Democratic Party. His strategists argue he's best positioned to win over voters in the three Rust Belt states that Democrat Hillary Clinton lost to Donald Trump in 2016. Trump, the campaign argues, won Wisconsin, Pennsylvania and Michigan, the keys to his Electoral College victory, by offering a version of Sanders' populist economic message. What Trump was offering "was faux-Bernie Sanders in order to beat Hillary Clinton," Sanders campaign manager Faiz Shakir said, adding that Sanders plans to focus on the three states even as he fights off a crowded field of Democrats vying for the nomination in states with early primary contests. "We will invest, we will go to these states and demonstrate through real action, and hopefully data and numbers, that we can beat Donald Trump." The early focus on the general election is just one of the many ways Sanders has evolved from the freewheeling candidate of 2016 to a front-runner. Already, the campaign has 70 staffers on its payroll , compared to 30 in July 2015, his advisers told reporters last week on a conference call arranged to discuss Sanders' "path to victory more than 600 days before Election Day. In less than a week as a declared candidate, Sanders flexed the power of his robust donor list, raising $10 million from donors, the campaign said, a sum that dwarfed his rivals. 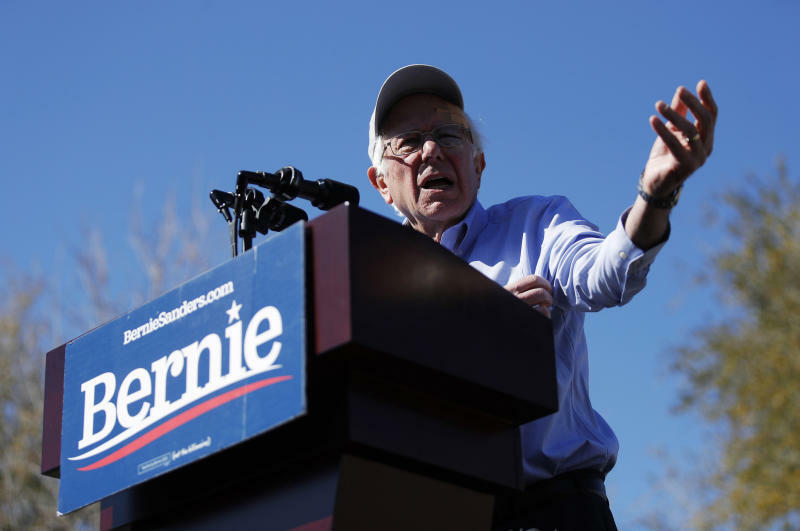 Sanders' viability-first focus comes as the Democratic field continues to expand. Former Texas Rep. Beto O'Rourke jumped into the presidential race last week, and former Vice President Joe Biden appears on the cusp of announcing his plans. Biden and O'Rourke are each expected to infuse a more centrist strain of politics into the race, and supporters of both men say they could also appeal to white working-class voters who backed Trump in 2016. Kayleigh McEnany, a Trump campaign spokeswoman, said: "We are happy to go toe to toe with any Democrat 2020 contender, especially in states like Wisconsin, Pennsylvania and Michigan. President Trump expanded the map, winning states that have not been won by a Republican since the 1980s." Whether Sanders would have beaten Trump in 2016 is, of course, unknowable. Indeed, like Trump, Sanders appealed to voters with populist promises to upend Washington and fight for the forgotten. It is possible that, if Sanders had been the nominee, he may have won some disillusioned or disconnected voters who ultimately voted for Trump over Clinton. But Sanders had weak spots with other key parts of the Democratic coalition — notably African-American voters. It's impossible to know whether he would have matched Clinton's overwhelming support from those voters. Sanders' campaign argues that he's starting his 2020 bid in a stronger place among African-American and Latino voters. But this case isn't yet about convincing independent or moderates, but rather about convincing the Democratic base. "The polls have been pretty consistent that Democratic primary voters are very focused on which candidate has the best chance to beat Trump, so I expect all the candidates to argue why they are uniquely positioned to win," said Dan Pfeiffer, a former senior adviser to President Barack Obama. 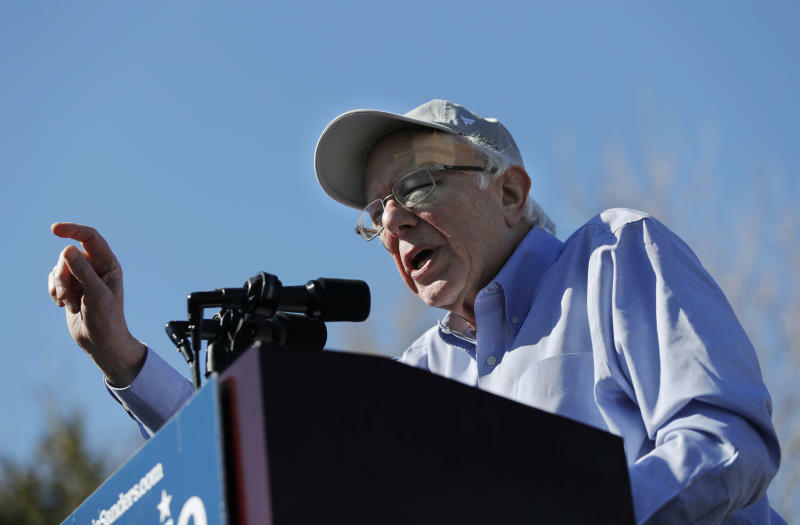 "Bernie Sanders has a strong case that his economic message works in the states that delivered Trump the presidency in 2016, but his challenge is going to be articulating how he can defend himself against attacks that he is a socialist," Pfeiffer said. Karine Jean-Pierre, a Democratic strategist and senior adviser at MoveOn, argued against the notion that a more centrist candidate is inherently more electable. "Often you'll hear arguments from centrist, or more corporate-aligned, Democrats that a candidate needs to run as a centrist to win — but those comments say more about the commenters' interests and ideology. They don't actually tell you much useful about political outcomes," she said. "This year's primary is obviously a different dynamic than 2016, when there were only two Democrats, and much of that debate centered on electability — and then the candidate presumed by the Democratic establishment to be most 'electable' lost," Jean-Pierre said. So far, Sanders has been focused on Democrats' shared goal of defeating Trump, whom he's called the most dangerous president in American history. But he's also placed himself as a standard-bearer in today's political environment. "In 2016, this is where the political revolution took off," Sanders said during a recent trip to New Hampshire, a state that he won by 22 percentage points. He said that he began the race far behind Clinton, campaigning on ideas "considered by establishment politicians and mainstream media to be 'radical' and 'extreme.'" "I know there's a huge running list and that there are a lot of people out there, but I think a lot of them are just reiterating what he's been saying pretty much his whole life," Taylor said of the Democratic field. Asked whether Sanders is Democrats' best opportunity to beat Trump, she replied, "God, I hope so."